The team challenge is without a doubt one of the classics among the team events. 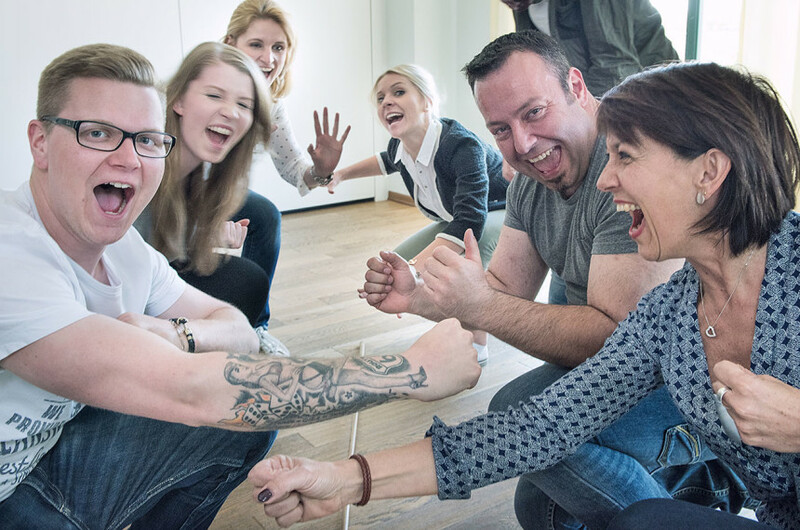 Rightly so – the team challenge offers you and your colleagues flexibility at its best, a lot of variety and guaranteed fun. Customised according to your target group, your wishes and your event location, you can select from more than 100 different modules. Alternatively, we can design a completely new challenge, tailored to your individual demands. Who is the strategist, the craftiest, the architect, the thinker in your team? Everyone can and must contribute with individual their talents and skills in order to complete the team tasks and achieve the highest possible score at every module. 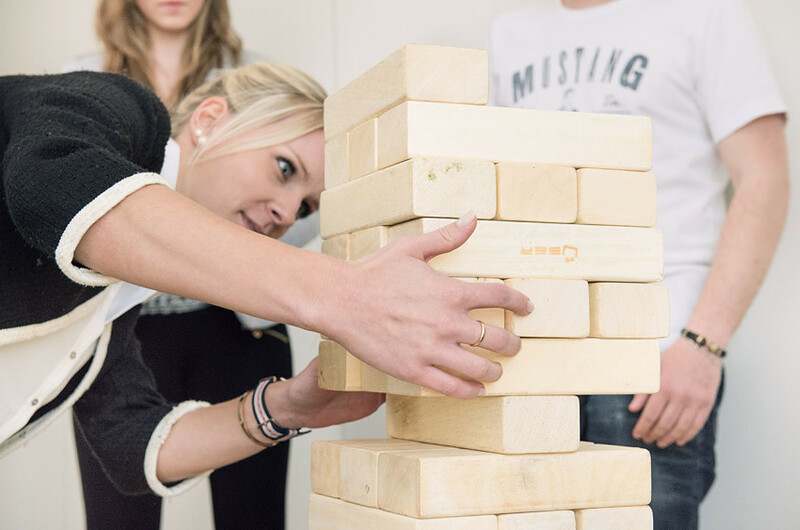 Build the tallest tower with your team, construct the most stable bridge using innovation and creative solutions, activate all senses of your colleagues on the parcours of senses or transport a ball to the finish line using a pipeline, teamwork and coordination. The team challenge is ideally suited as welcome change for your summer celebration! The participants can move around freely and decide which stations they want to go to, or they can complete challenges within the individual teams in order to collect points. According to the motto “everything is possible, nothing is necessary.” Despite the competitive character of this event, the team experience and fun are at the core of your team challenge. 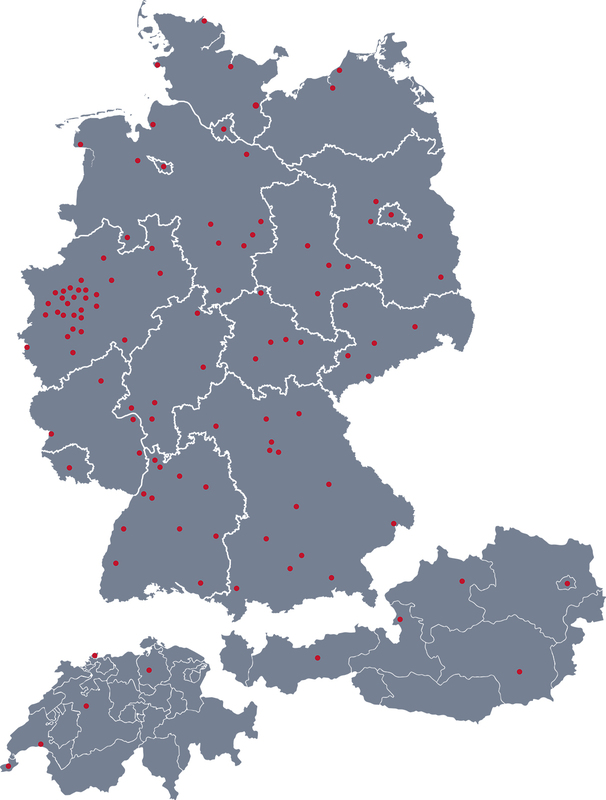 Would you like to place the event under a certain motto or theme? No problem! How about the highland games, an Xmas challenge or the farm Olympics? We will gladly create an individual event concept for you.